Fall semester sounds like the binding of a textbook being opened for the first time. It’s the rush to class and the desperate search for a parking spot. The chaos on campus can sometimes be overwhelming after such a relaxing summer, but there are plenty of hang-out spots around South Bend and Mishawaka for any student looking for a new adventure. A short walk from campus is The Well, a non-profit shop led by volunteers. Drink prices are based on general donations that are as low as $.89. Their hours are Wednesday-Friday, 10 am-8pm, with special hours based on events such as live bands and open mic nights. They accept cash-only payments. For a little bit of southern comfort, try Chicory Café. 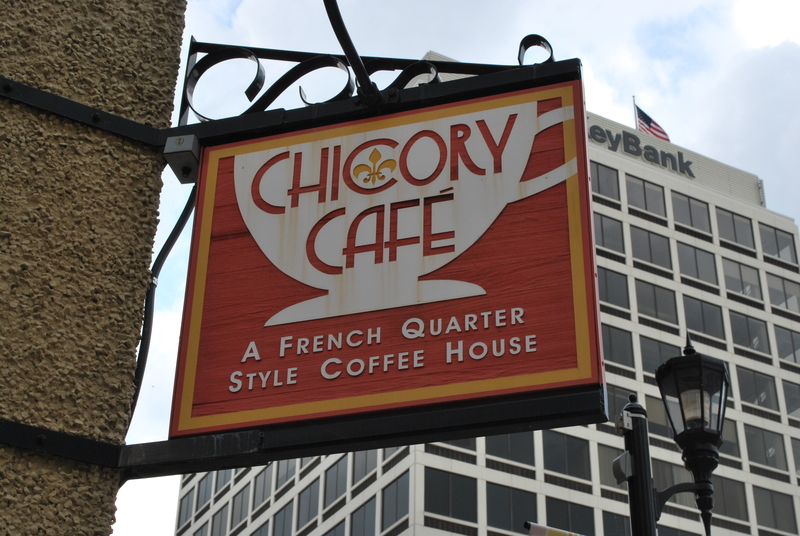 Located in downtown South Bend, Chicory is a New Orleans style café with live music and beignets. Chicory is great for students looking for a quick bite to eat or a warm beverage after class. Hours for Chicory vary daily. Non-traditional and emerging venue The Pool is a great place for students to listen to local bands in an intimate environment. What used to be the high school swimming pool is now a stage ready for performers. Donations are taken for each show and given directly to the performers. With a couple of events each month, students can retreat from their classes for a great time. Just a few minutes down Mishawaka Avenue is Merriman’s Playhouse. Jazz lovers and poets will dig this cool atmosphere. Workshops and jam sessions are held weekly. Most sessions are free and events have reduced ticket prices for students. The State theater has something for everyone. Located in downtown South Bend, this historic building is home to weekly movie screenings, special events such as performances by local burlesque troupes, bazaars and themed art exhibitions. Events that are held here are usually very cheap and make for a fun night out on the town for students of all ages and interests. As the textbook closes and the day begins to wind down, take a moment to explore what South Bend and Mishawaka have to offer. With many opportunities for a great time, grab a friend and go on an adventure.